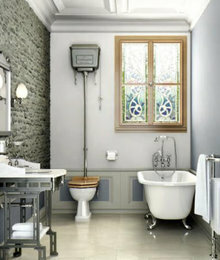 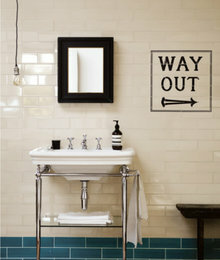 Idea book for bathroom project in a Victorian townhouse. 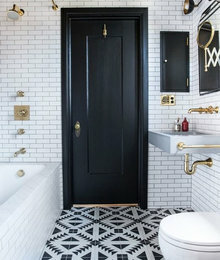 I’m aiming for a look that feels Victorian but drawing from the industrial elements of this period, with some contemporary touches. 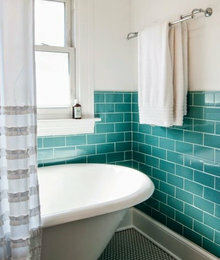 It’s a good sized space so we can incorporate a bath and separate shower. 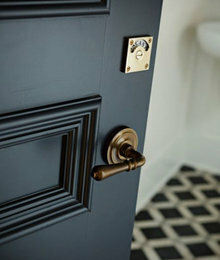 From a colour perspective I’m thinking primarily monochrome but with a bold accent colour. 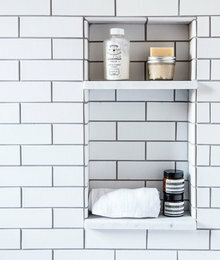 I think a customised vanity unit is a better option. 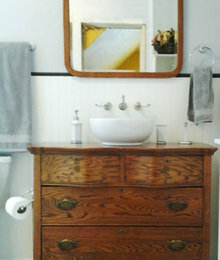 I can easily find a vintage/antique bureau which we can drop a sink on. 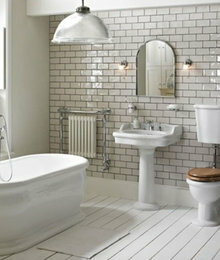 I'd like the taps to be wall mounted over the sink. 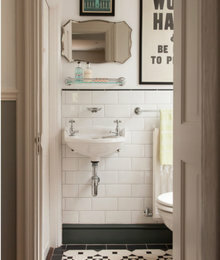 I like the idea of a freestanding bath but not a clawfoot bath or slipper bath as that feels to obvious. 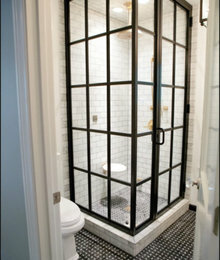 Something like this would be ideal. 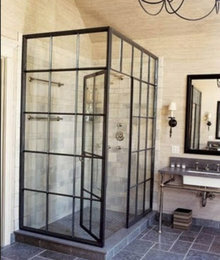 I love the idea of putting black painted steel framed doors around a large shower area. 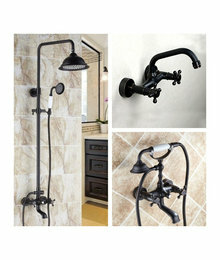 Industrial as opposed to Victorian but the black metal would work well with the other black fittings I have planned.